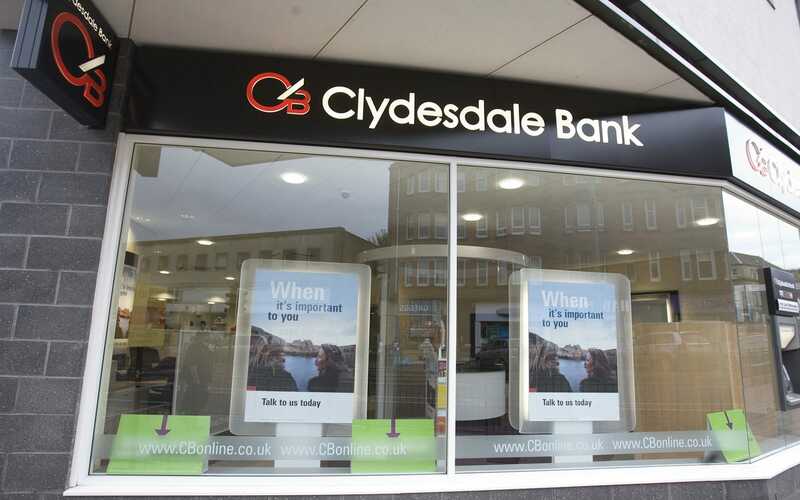 Clydesdale and Yorkshire Bank has made an eleventh hour top-up to its bid to buy Virgin Money by offering the takeover target’s shareholders a bigger stake in the combined group. The fresh approach emerged last night, ahead of today’s deadline for the deal to create a ?4bn challenger bank. The move means the banks will get a 14-day extension while they finalise terms before a firm offer must be made. CYBG lifted its original offer of 1.1297 of its shares for each Virgin Money share, which would have handed the latter’s investors 36.5pc of the combined entity, to 1.2125 shares – increasing the proportion to be owned by Virgin Money shareholders to 38pc. It did not add a cash sweetener to the offer, but the larger stake could still tempt shareholders according to analysts. The bank’s latest play for its smaller rival confirms reports which surfaced last week that it was on the brink of boosting its offer for rival Virgin Money after the value of its shares dipped following its initial approach. City analysts had warned that CYBG might need to increase its offer to secure Virgin Money after the FTSE 250 lender last month posted a pre-tax loss of ?95m in the half year to March, compared with a ?46m profit in 2017 due to a hefty ?350m bill to meet a rise in claims for mis-selling payment protection insurance (PPI). The bottom line loss spooked investors, who sent its stock down, depressing the value of the bank’s all-share approach for Virgin Money. Even with the improved terms, the value of the bid has slid from 359p a share when the first approach was made in May to 354p based on Friday’s closing price. CYBG’s chief financial officer Ian Smith said at the time of the results that he was “not concerned” by the market conditions facing the bank. “I don’t need to defend this business,” he added. However, he admitted that some of CYBG’s peers’ business models “will come under pressure given what’s happening in funding markets”, referring to the withdrawal of a ?127bn pot of cheap Bank of England funding earlier this year. Virgin Money was one of the biggest users of the scheme relative to the size of its balance sheet. But in contrast to CYBG, Virgin Money posted solid numbers for the start of the year as growth in deposits soared ahead of expectations by 7.4pc to ?31.1bn. City analysts argue CYBG’s slim profits highlighted the pressing need for it to acquire Virgin Money, amid intensifying competition and tightening margins in British banking. The lender also said it would protect the Virgin Money brand, in what was seen as a bid to win the approval of Virgin founder Sir Richard Branson, whose Virgin Group still owns a third of the lender. CYBG added that talks were ongoing with Virgin Group over the extent of the use of the Virgin Money brand if the deal goes ahead. The merger could also prove critical for the UK’s medium-sized challenger market, and whether it can pose a significant threat to the big five – Barclays, HSBC, Lloyds, RBS and Santander.